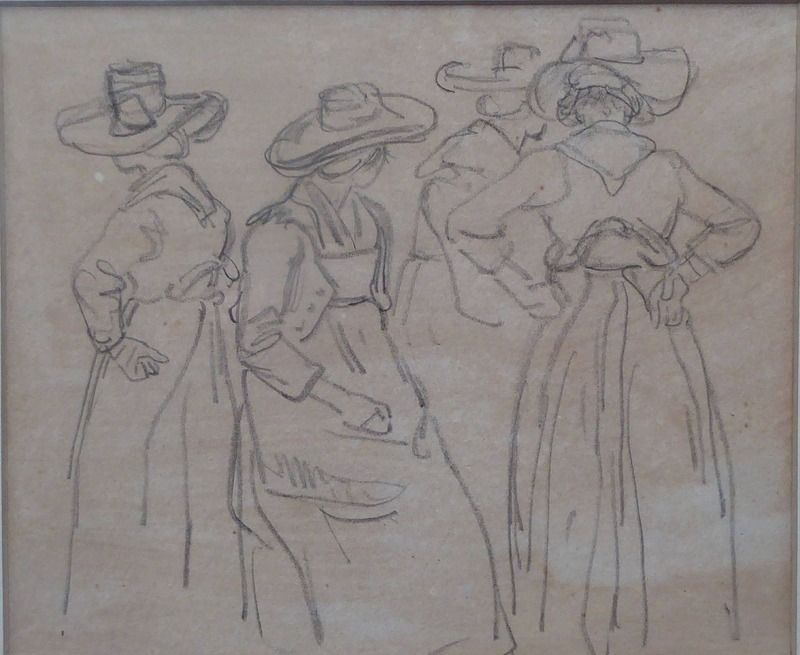 This is one of two studies in my Etsy shop by the listed Swiss artist - Wolfgang Adam Toepffer (1766 - 1847). 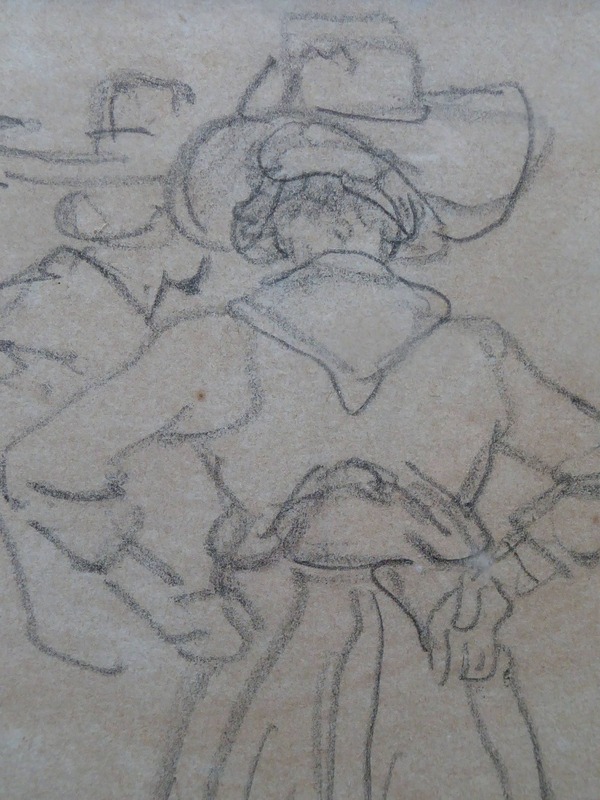 This lovely study dates to the late 18th century or early 19th century. The artist was born on 20 May in Geneva and died there on 10 August 1847. Toepffer was a celebrated Swiss painter of genre and landscape subjects of the Romantic period. He studied for a period in Paris before returning to Geneva. His paintings were popular in and a couple were in the collection of the Empress Maria Fyodorovana (the mother of the French Empress Josephine). He won a gold medal at the Louvre Exhibition in 1812. 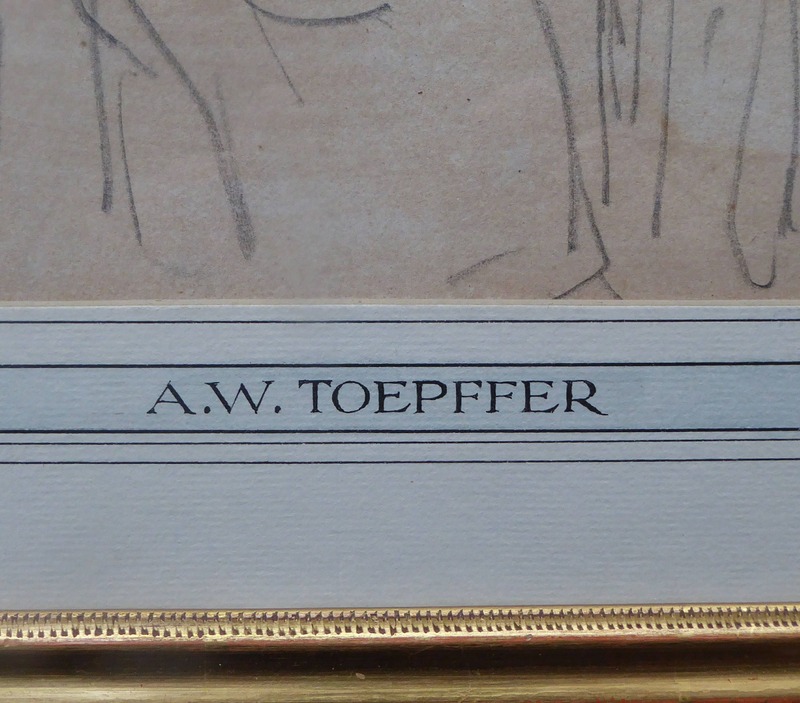 There are two academic publications about Toepffer: "Wolfgang-Adam Toepffer" published by the Library of Arts, Lausanne in 1996: ISBN 2-88453-008-8. This consists of some 400 pages with 115 colour illustrations and 220 black and white ones). Also "Wolfgang-Adam Toepffer: Paintings". Published by Benteli in 2011. 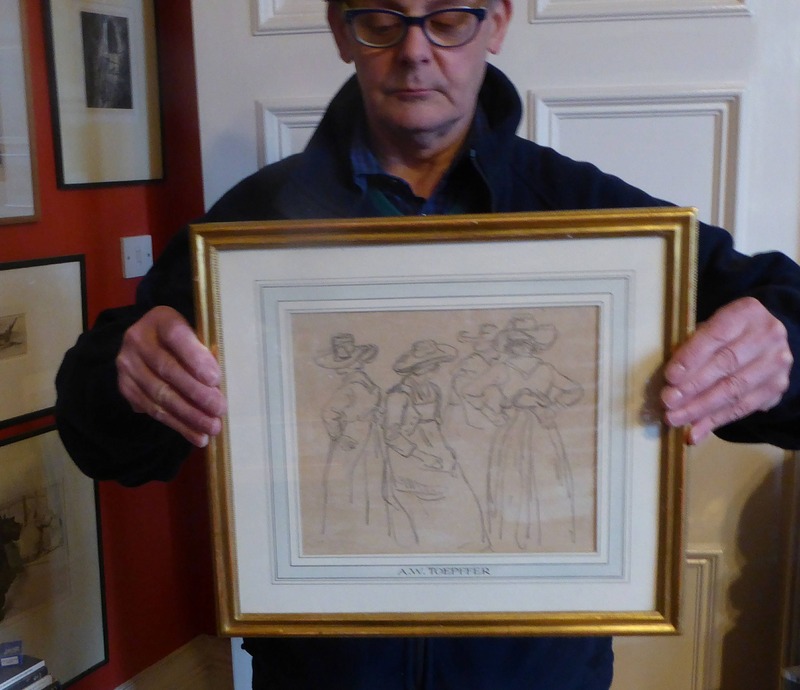 Toepffer's works sell thorough top auction houses - and obviously, he is sought after by Swiss buyers. 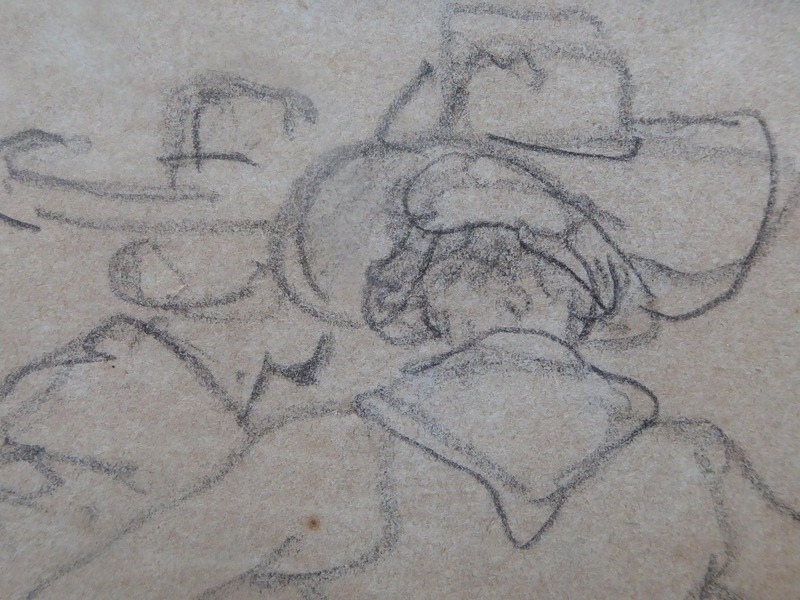 My two studies in my shop are both very competent and carefully observed works made by the artist. They feature a crowd scene probably quickly on the spot at a continental marketplace. 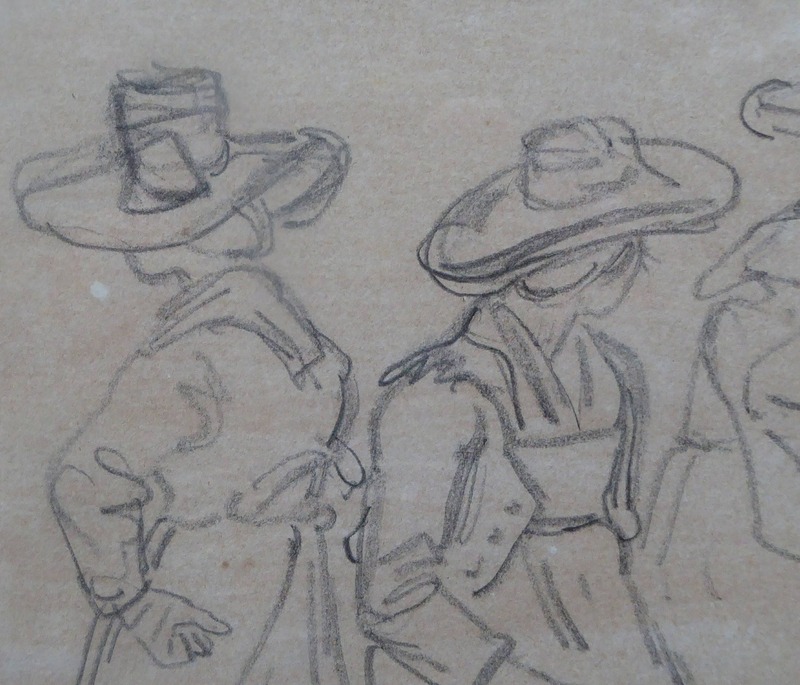 Beautiful sketches - they are not signed by him as they are studies for a larger work and as such it would be certainly suspicious to see a signature on such a sketch. 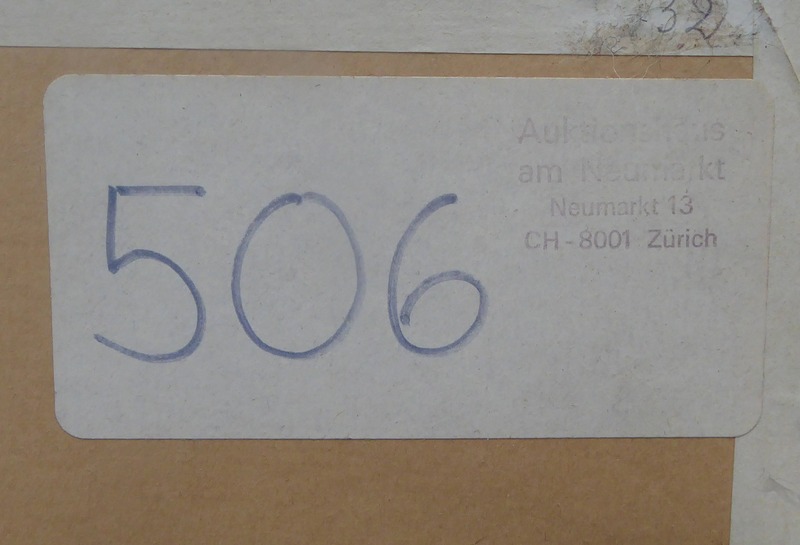 PROVENANCE: they have been through a Swiss / Zurich auction house in the past - and there is an old label for a Zurich auction house on the back of each work - which I have photographed for your inspection. Also, stylistically they relate to a group of four studies sold at Christie's in Zurich (Sale 1351, Lot 29, 3 December 2007). 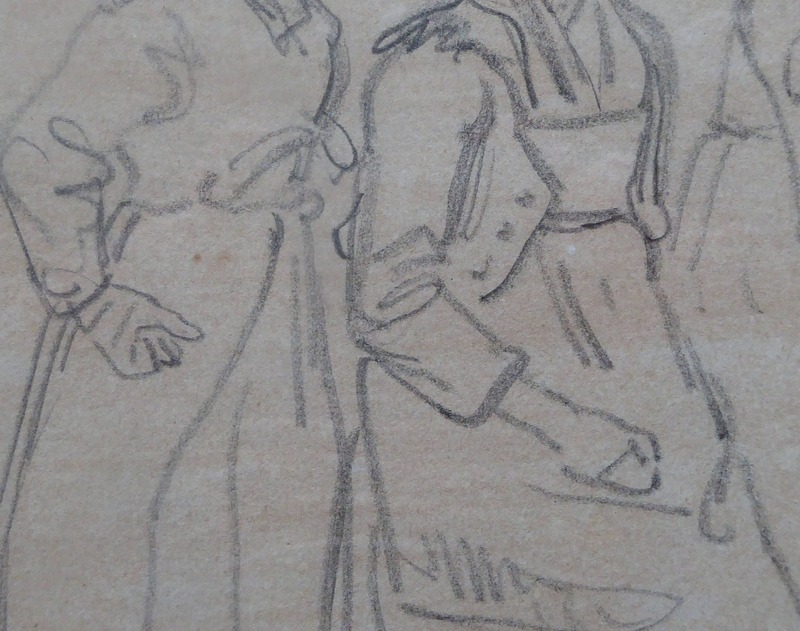 These studies, I think, have either come from the same sketchbook as mine - or were certainly drawn at the same time - as the characters depicted in my sheets and those sold via Christie's are in identical in costume, style and detail. 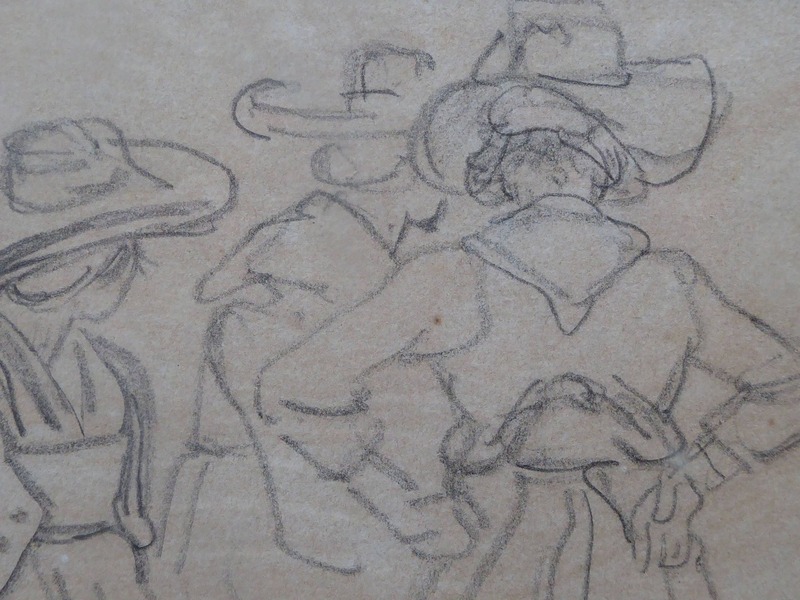 Toepffer included similar busy groups of figures in his oil paintings - often shown them bustling about and boarding boats on the shores of Lake Geneva. Both in matching frames and both ready to just hang on your wall. Fine additions to any collection of Swiss Art. 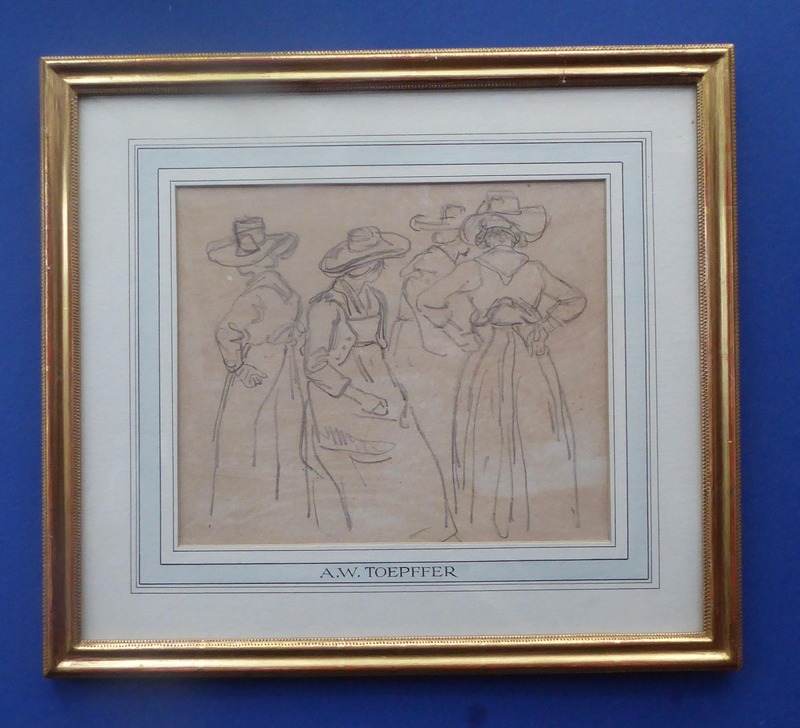 They are being sold as genuine drawings by Toepffer. If you wish me to post outside of the UK please get in touch with regard postage issues. Any white marks on my photographs are not on the drawings but are simply reflections from the glass on the frame.